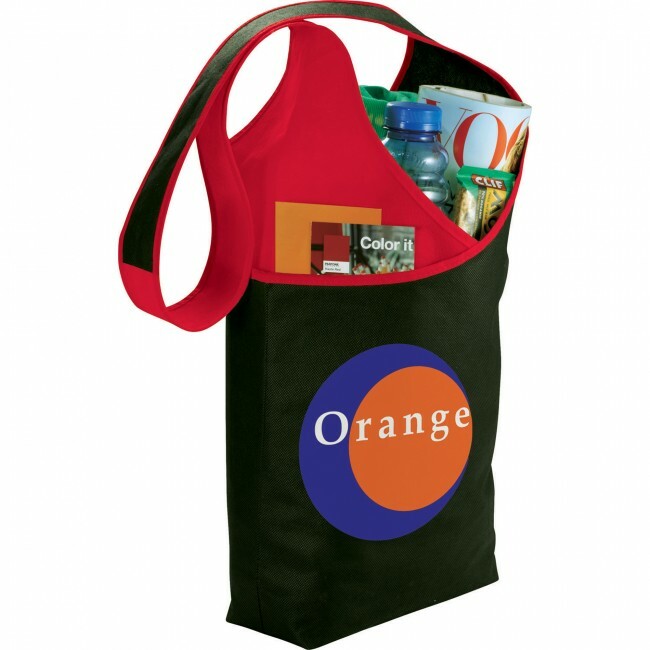 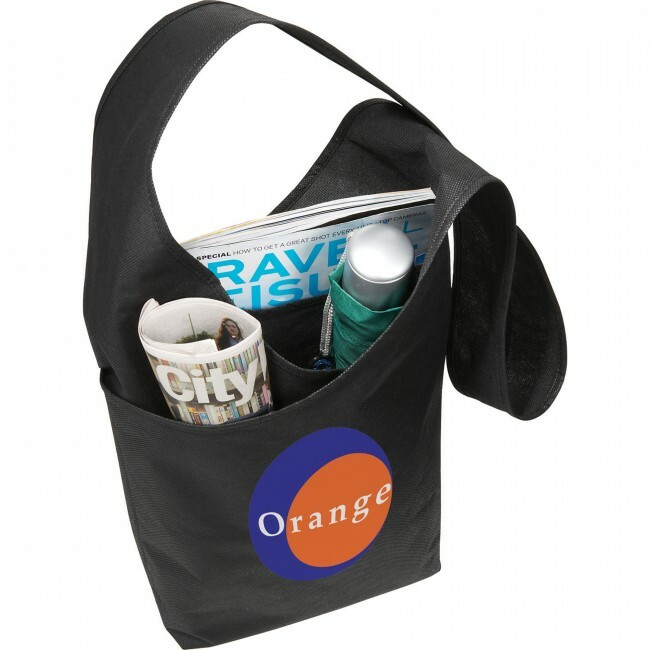 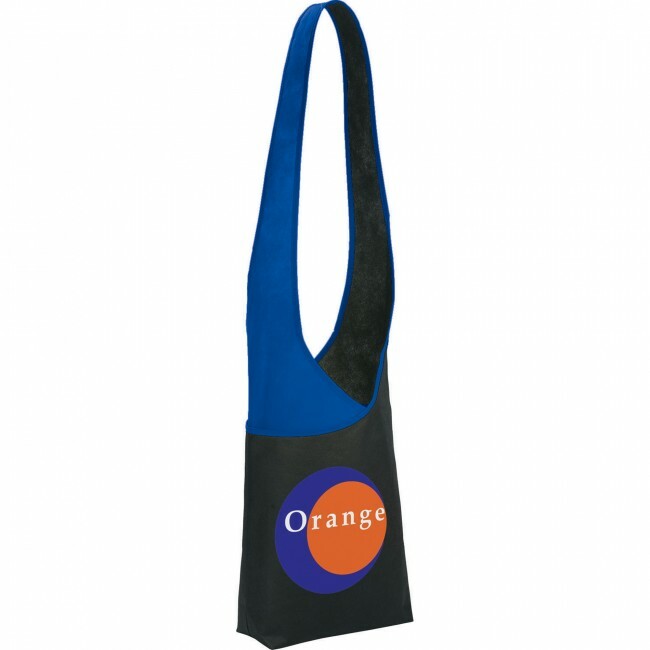 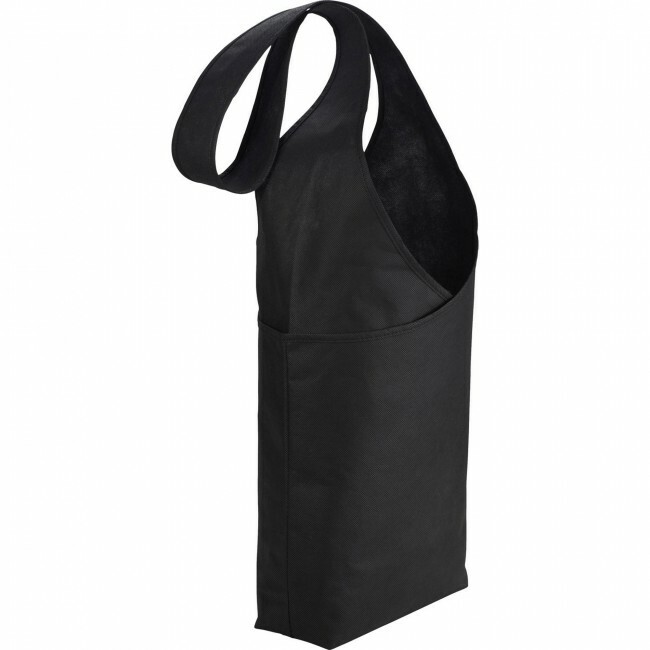 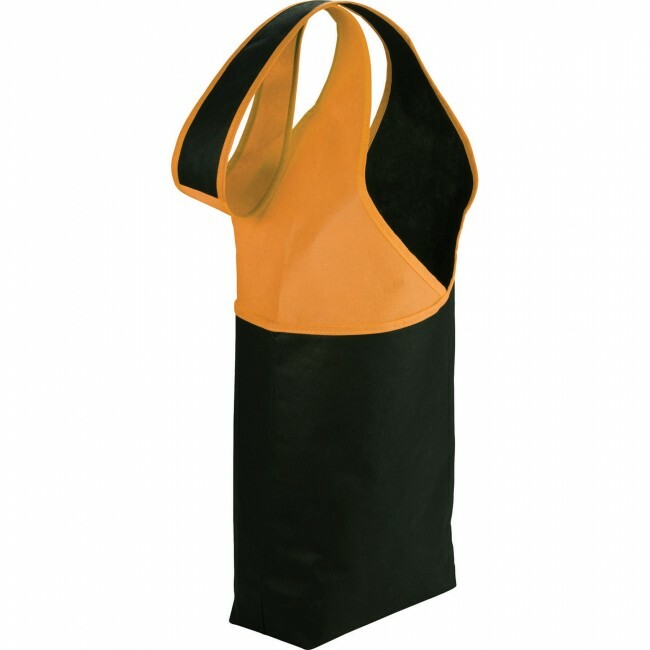 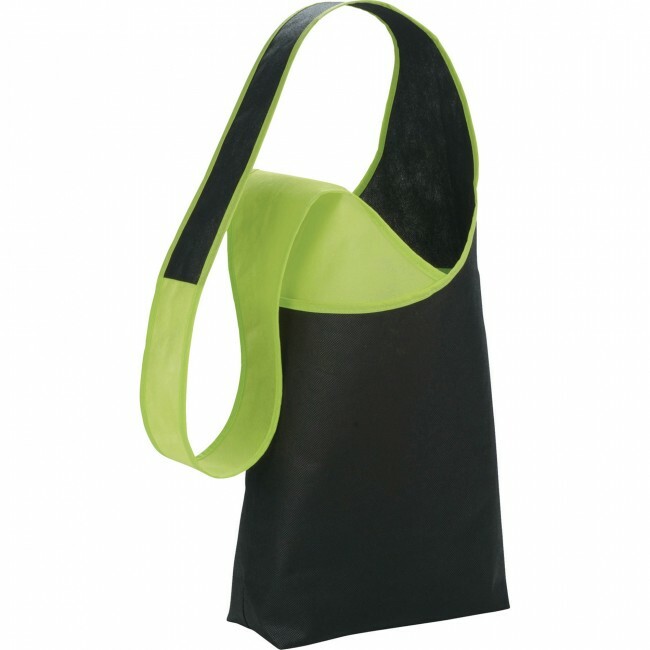 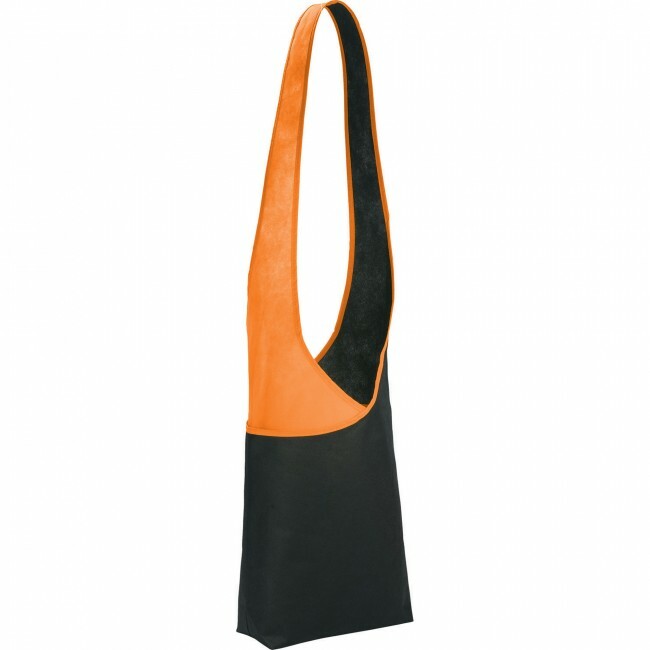 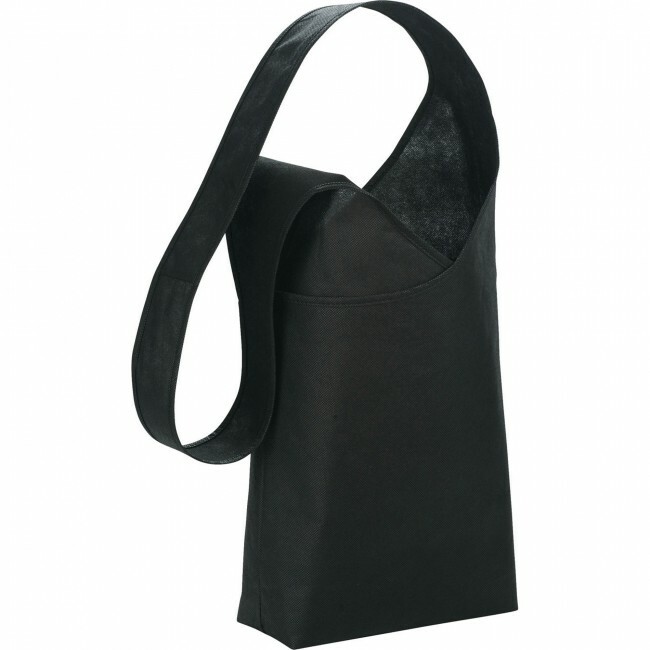 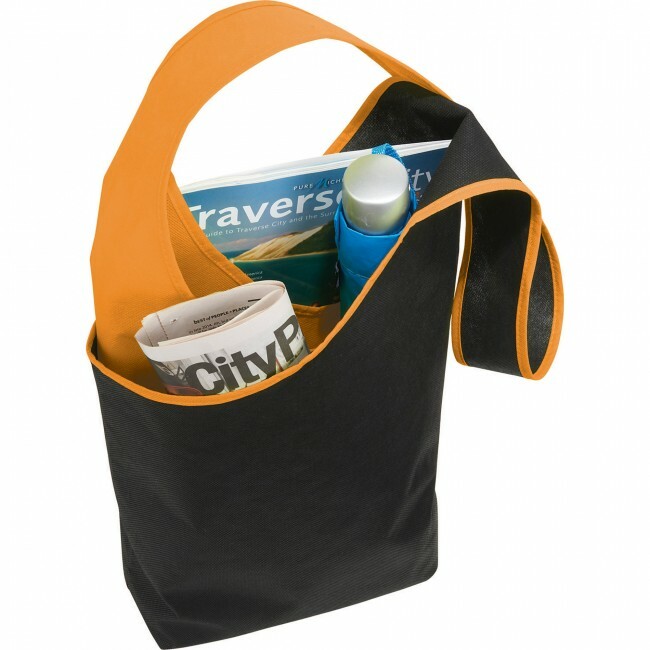 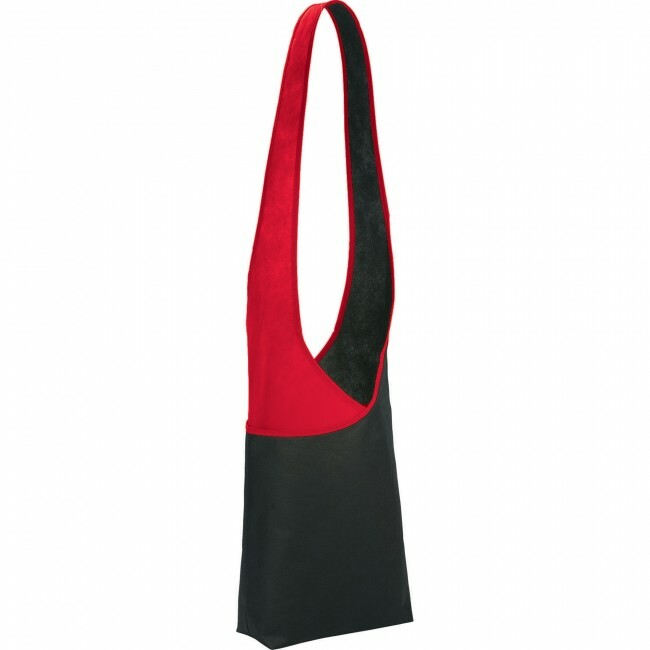 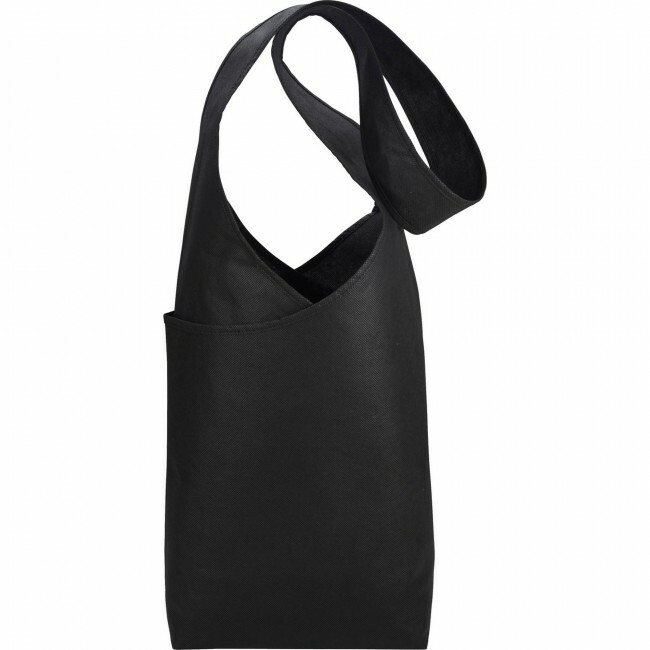 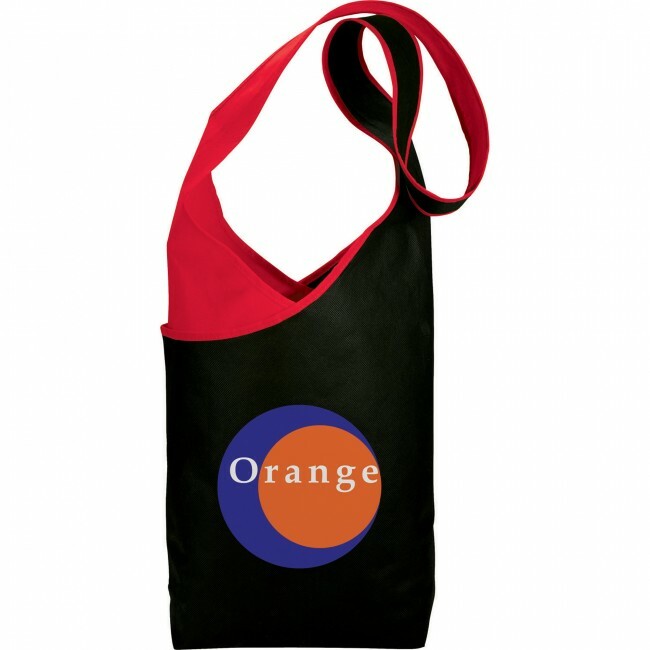 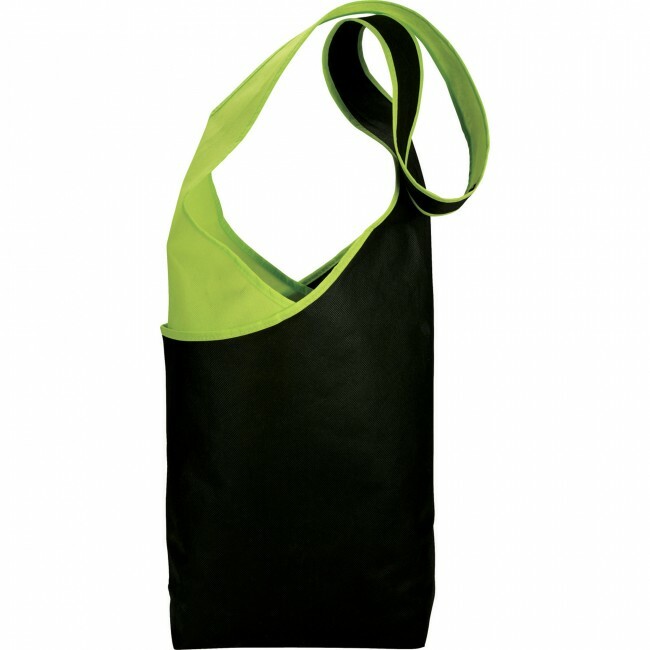 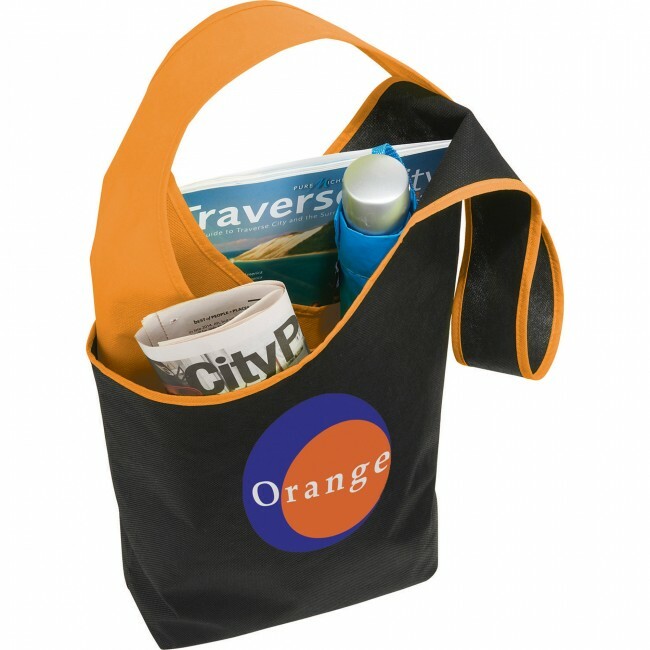 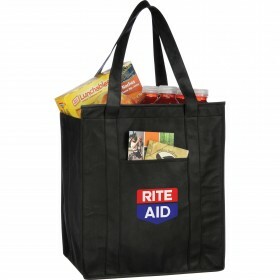 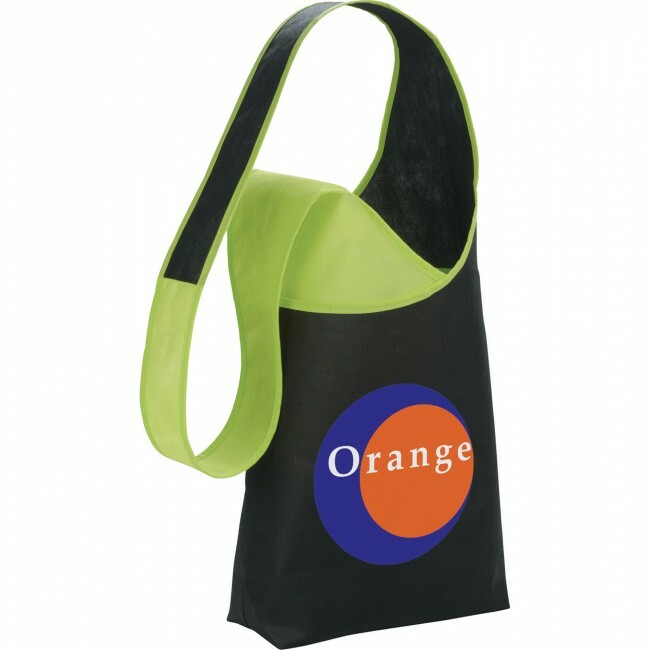 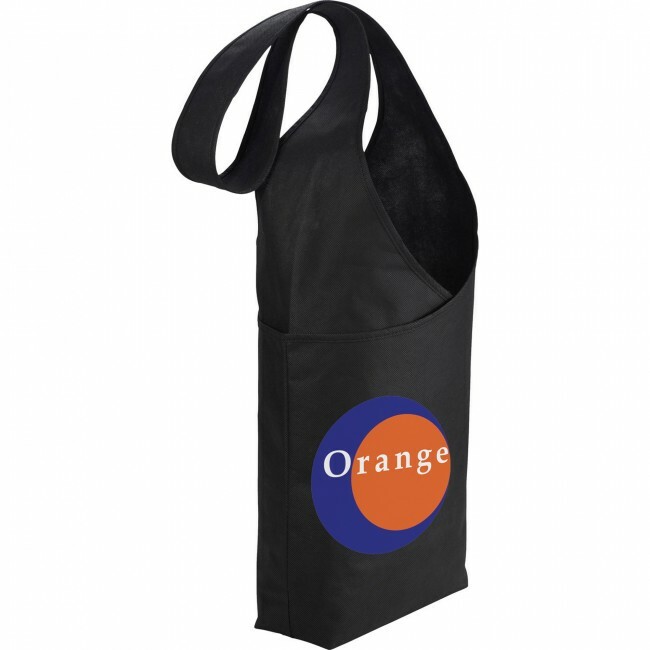 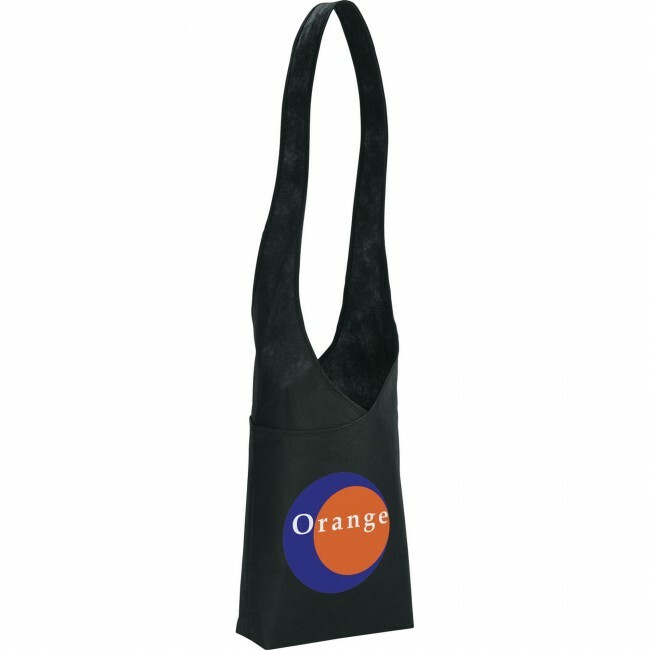 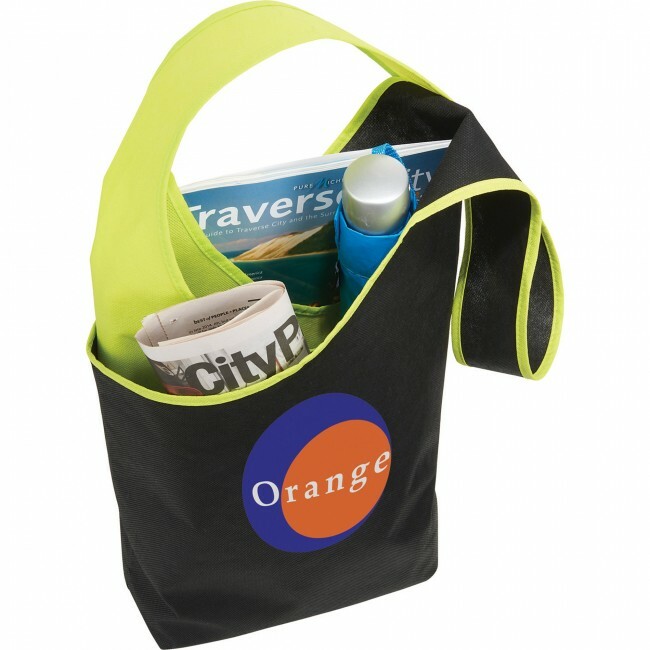 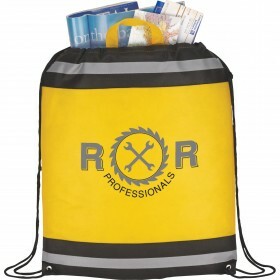 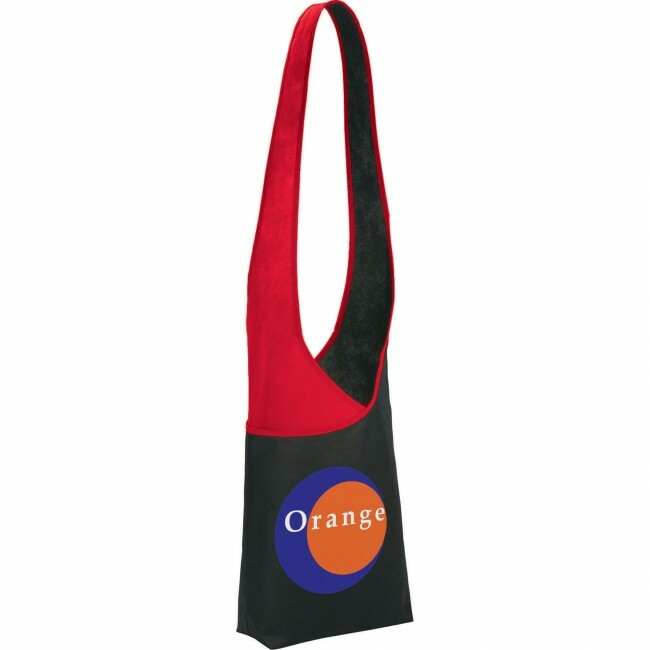 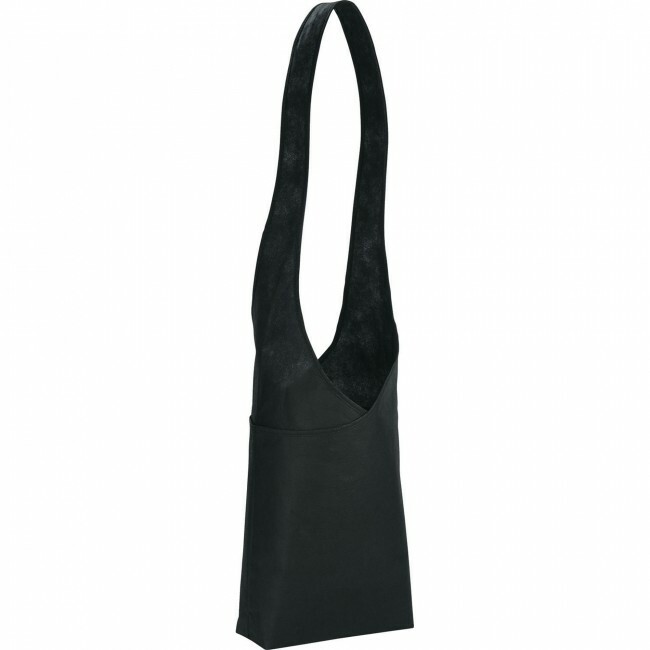 The Twilight Non-Woven Shoulder Sling Tote features an open main compartment with a 31 inch carry strap for cross-body wear. 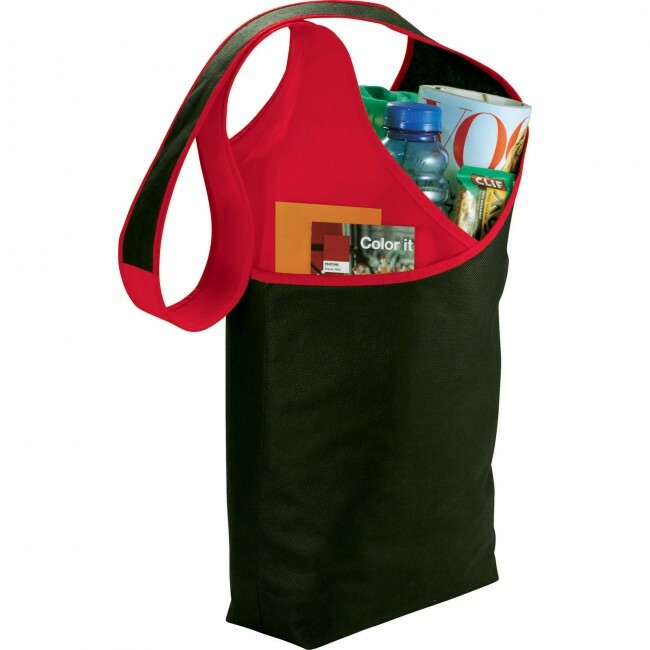 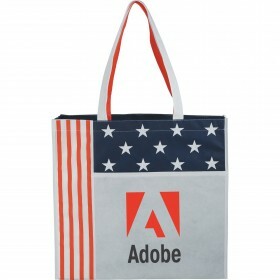 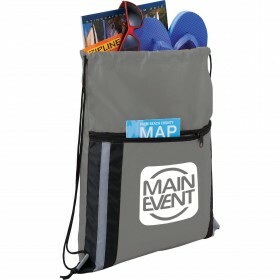 Unique pockets are also built into the bag on the front and back. 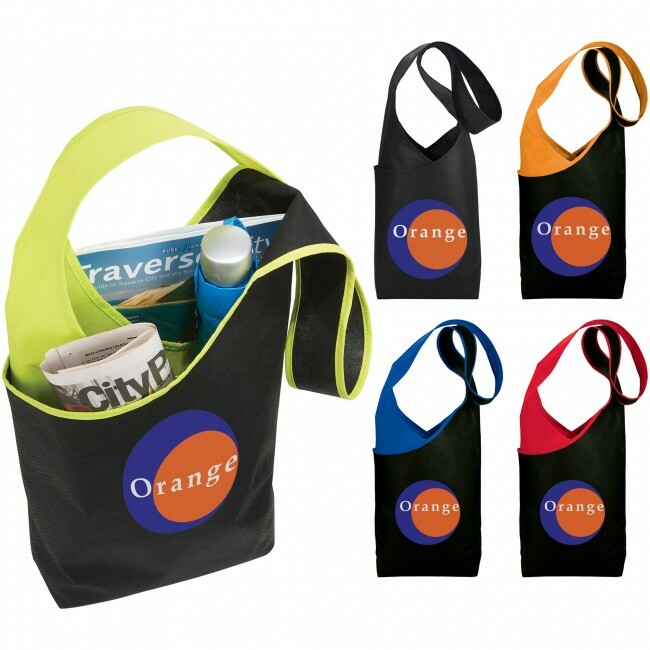 Black, Lime Green, Orange, Red, Royal Blue. Bi-color design that is stylish. 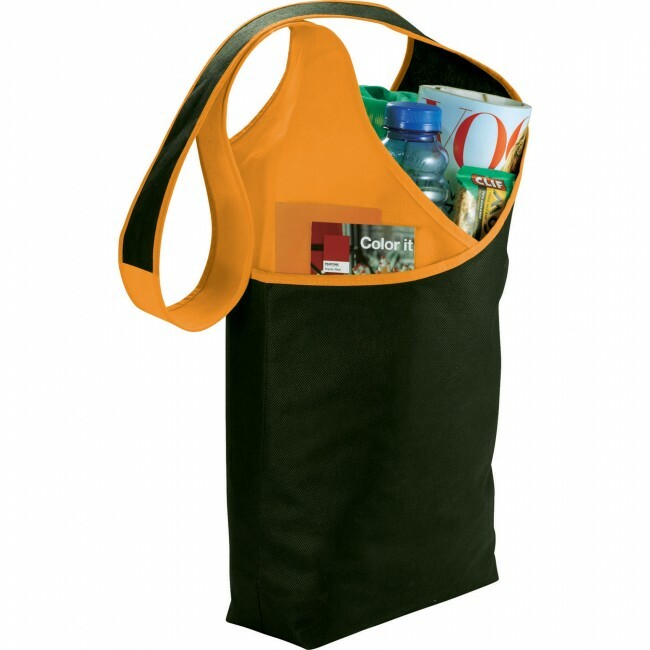 Two pockets that are built into the bag on the front and on the side. The main compartment is open and easy to access. 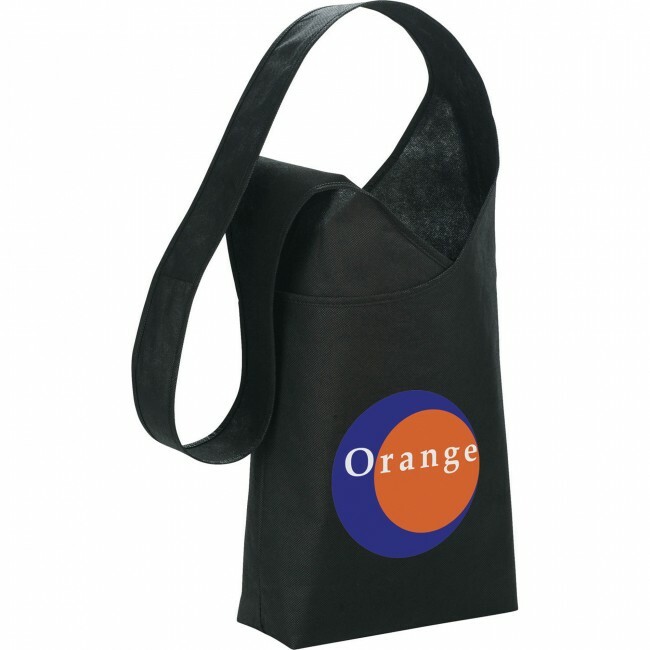 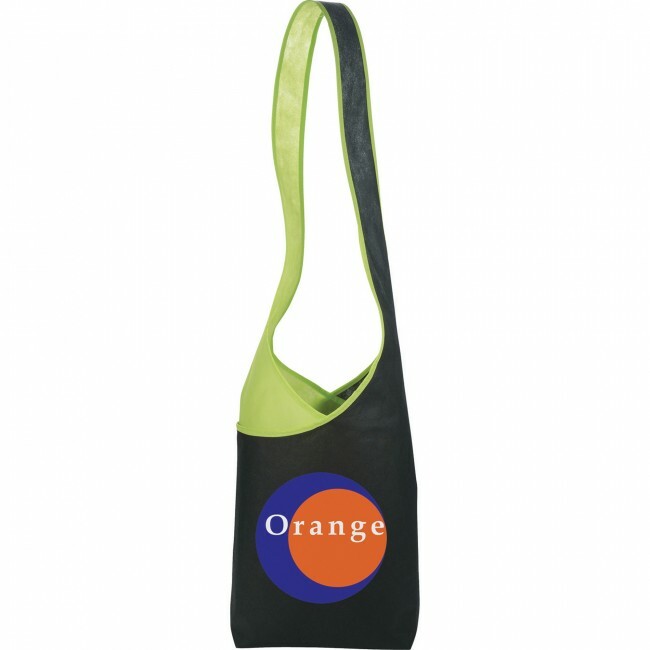 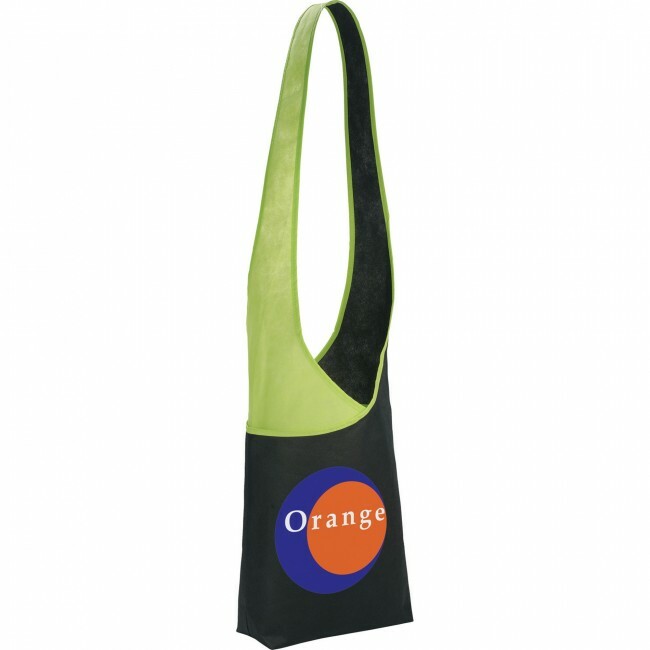 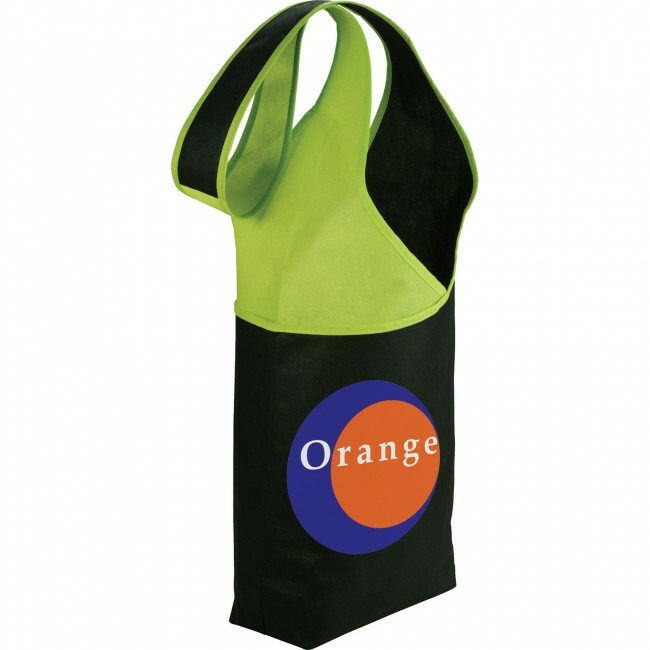 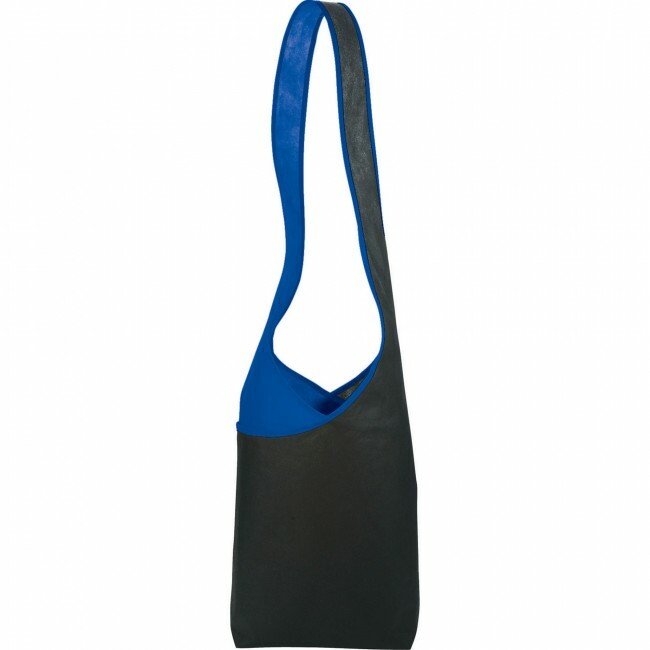 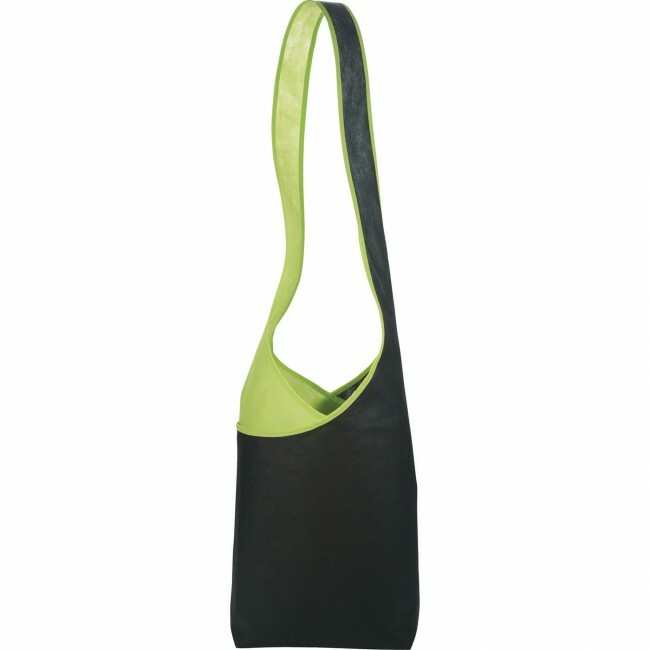 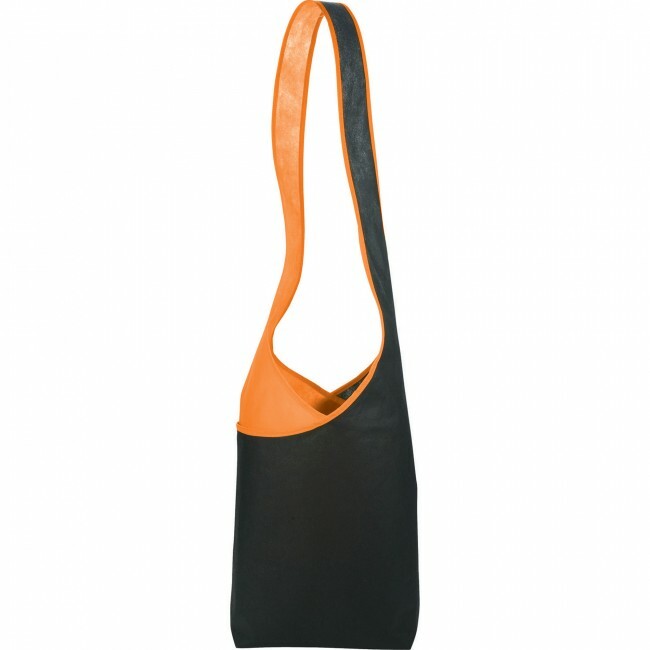 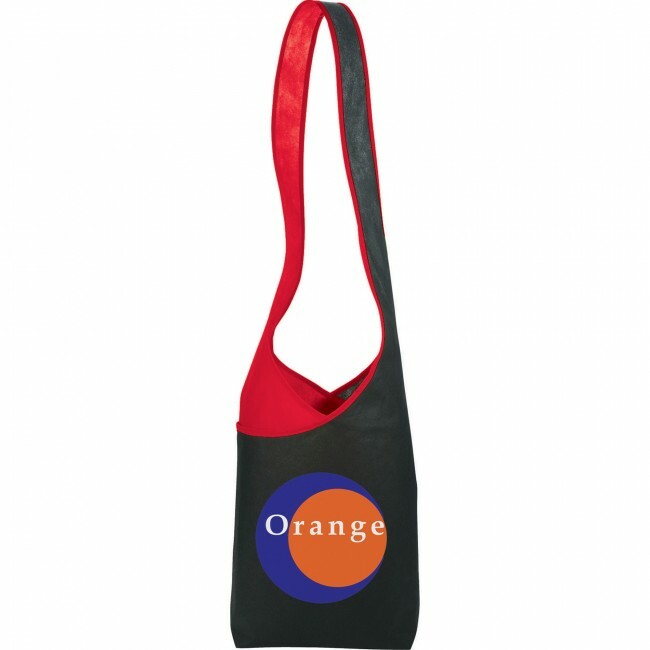 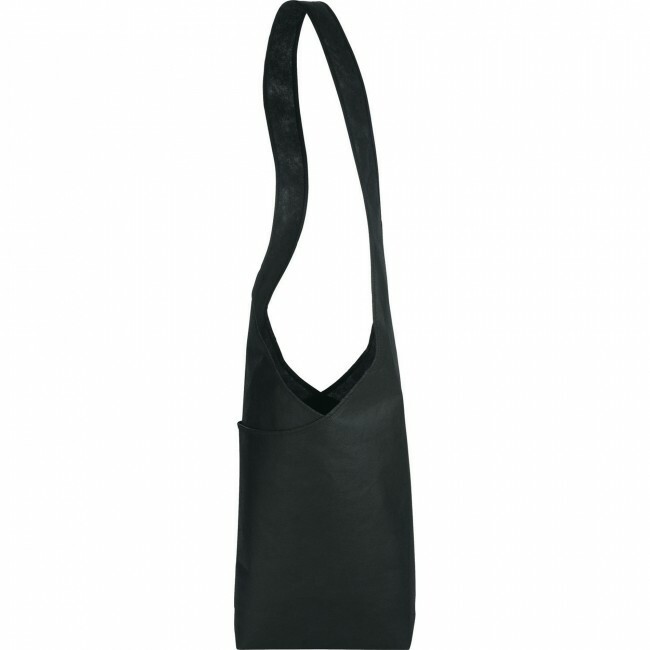 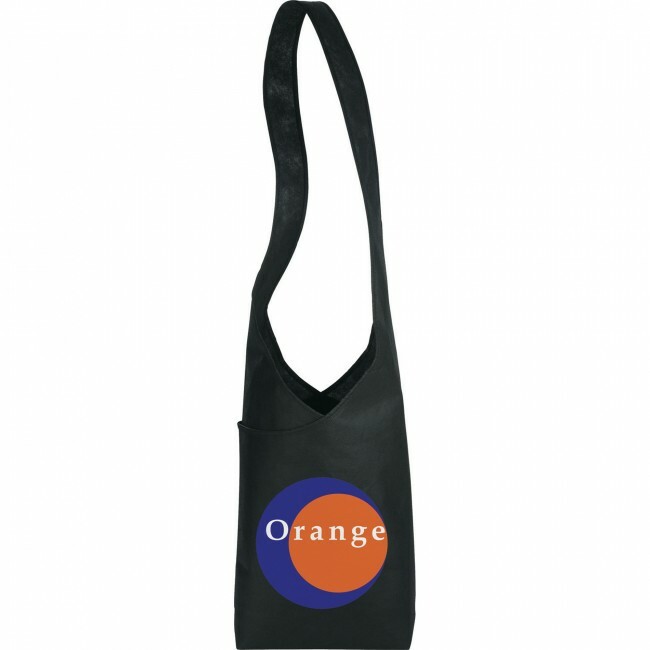 It's a great choice for yoga, gym bags or daily use. 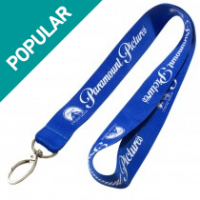 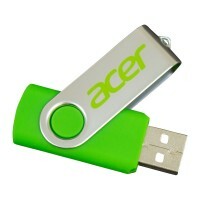 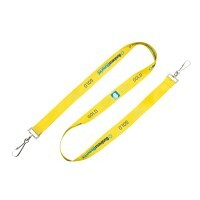 Two tone design with full color logo printing. Two pockets and main compartment.